Below the huge assortment of industrial products, we have introduced Die Casting Part for Automobile Industry designed & developed at our ultra-modern infrastructure. Our experts carry out the manufacturing procedure in accordance with the approved industry norms and thus, bring forth products with assured durability. As imparted with sturdy finish, these parts are available at industrial prices. 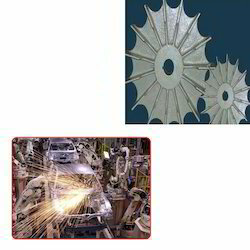 Looking for Die Casting Part for Automobile Industry ?